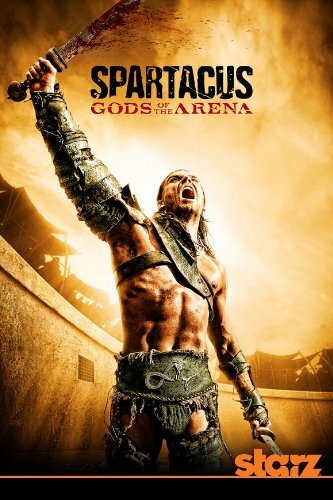 BEVERLY HILLS, CA –Anchor Bay Entertainment announced today that it will release two of the Starz Original series, Spartacus: Gods of the Arena and Camelot: The Complete First Season on Blu-ray and DVD in the U.S. and Canada on September 13, 2011. Each has become a fan favorite with their unique mix of visceral action, thrilling adventure and revealing romance. Both sets will roll out with extensive bonus features yet to be announced. "We're pleased to be bringing both of these series to Blu-ray and DVD," said Kevin J. Carney, Executive Director of Marketing for Anchor Bay Entertainment. "Releasing both on the same date will give fans a chance to check each series out, catch up on those they've missed and prepare for future episodes." Spartacus: Gods of the Arena is the prequel to the widely popular Starz Original series "Spartacus: Blood and Sand." Executive produced by Rob Tapert, Sam Raimi, Joshua Donen and Steven S. DeKnight, the 6 exhilarating episodes explore the House of Batiatus as it rises -- basking in the glow of its infamous champion Gannicus, whose skill with a sword is matched only by his thirst for wine and women. These are the times a young Batiatus has been waiting for. Poised to overthrow his father and take control, he'll freely betray anyone to ensure his gladiators are in the highest demand. And he'll have his loyal and calculating wife, Lucretia, by his side for every underhanded scheme, drawing on the brazen talents of her seductive friend Gaia when it counts. Together, they will stop at nothing to deceive the masses, seize power and bleed Capua dry. Joining returning stars, John Hannah (The Mummy, Four Weddings and A Funeral) as Batiatus, Lucy Lawless ("Xena: Warrior Princess") as Lucretia and Peter Mensah (300, The Incredible Hulk) as Oenomaus, are talented new cast members Dustin Clare ("Underbelly") as Gannicus, Jaime Murray ("Hu$tle") as Gaia and Marisa Ramirez ("General Hospital") as Melitta. 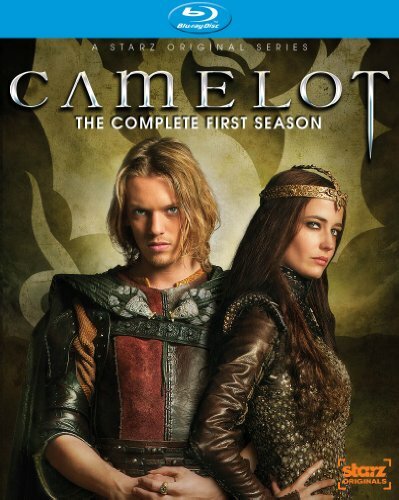 Camelot: premiered April 1, 2011 and was the most watched series debut ever on Starz. The 10-episode epic drama, redefines the classic medieval tale of King Arthur with an exciting ensemble cast including Joseph Fiennes reimagining the iconic role of Merlin, Jamie Campbell Bower as the young and reckless Arthur, and Eva Green in her television debut as the darkly powerful Morgan. The character-driven series also features Tamsin Egerton (Guinevere), Claire Forlani (Igraine) and Peter Mooney (Kay). Beginning in the wake of King Uther's sudden death, the sorcerer Merlin has visions of a dark future and installs Arthur as king. But Arthur's cold and ambitious half-sister Morgan will fight him to the bitter end for control of the crown. Faced with the challenge of uniting a kingdom broken by war and steeped in deception, Arthur is tested beyond imagination. Anchor Bay Entertainment is the home entertainment division of Starz Media, LLC. It includes the Anchor Bay Films and Manga Entertainment brands. It distributes feature films, children's entertainment, fitness, TV series, documentaries, anime and other filmed entertainment on DVD and Blu-ray formats. Headquartered in Beverly Hills, CA, Anchor Bay Entertainment has offices in Troy, MI, as well as Canada, the United Kingdom and Australia. Starz Media (www.starzmedia.com) is a controlled subsidiary of Liberty Media Corporation attributed to the Liberty Starz tracking stock group. Starz Entertainment, LLC, is a premium movie and original programming entertainment service provider operating in the United States. The company offers 17 premium channels including the flagship STARZ® and ENCORE® brands with approximately 18.8 million and 33.1 million subscribers respectively. Starz Entertainment airs in total more than 1,000 movies and original series every month across its pay TV channels. Starz Entertainment is recognized as a pay TV leader in providing HD, On Demand, HD On Demand and online advanced services for its STARZ, ENCORE and MOVIEPLEX brands. Starz Entertainment (www.starz.com) is an operating unit of Starz, LLC, which is a controlled subsidiary of Liberty Media Corporation and is attributed to the Liberty Starz tracking stock group.